Ghosn's Versailles wedding festivities have been widely held up as evidence of the executive’s lavish lifestyle as a globe-trotting auto executive. PARIS -- Carlos Ghosn’s use of the Chateau de Versailles for lavish parties has intensified scrutiny into the fallen auto executive’s tenure at the helm of Renault. The French automaker’s disclosure this week that centered around a Marie Antoinette-themed wedding celebration in 2016 was the first time it has publicly flagged a possible impropriety by its jailed former chairman. A Ghosn family spokeswoman, Devon Spurgeon, said Ghosn will pay back costs and also denied a report in Les Echos newspaper that another palace soiree in 2014 was planned around his 60th birthday. The revelations about the extravagant dinners at the Louis XIV castle and gardens have served to shift the focus to the jailed executive’s management style at Renault. Ghosn is awaiting trial in Japan on charges of financial crimes stemming from a probe by partner Nissan. His downfall has triggered tension within their carmaking alliance, partly because Nissan moved fast to replace him while Renault dragged its feet. In a sign the tables may be turning, Renault said Thursday Ghosn received a “personal benefit” worth 50,000 euros ($57,000) related to a charitable donation agreement with the Versailles chateau. The carmaker alerted French authorities and the prosecutors’ office has yet to decide about starting an investigation. Ghosn’s rapid move to pay back the money contrasts with his stance in Japan, where he has rejected prosecutor claims of financial wrongdoing related to his time at the helm of Nissan. In his first Tokyo court appearance last month, Ghosn said he was “wrongly accused and unfairly detained based on meritless and unsubstantiated accusations.” He painted the picture of a loyal company man who would not dream of harming the firm. He and his wife Carole’s 2016 party at the Versailles palace was captured in a photo spread showing actors in opulent period costumes, along with eye-popping arrays of cakes. 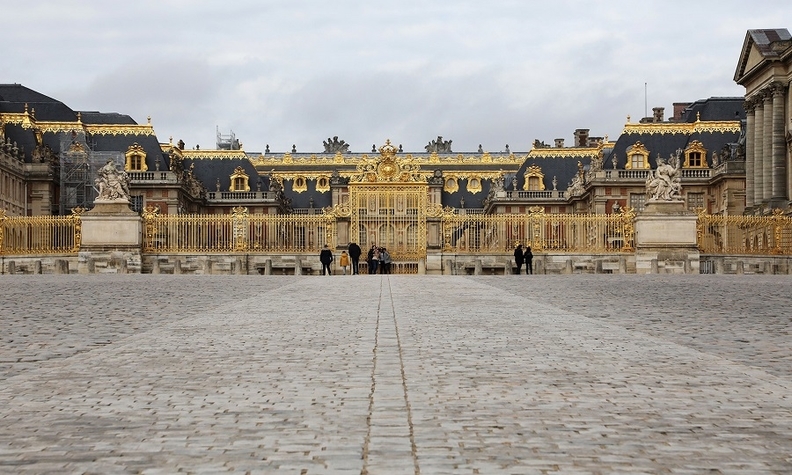 The Versailles wedding festivities have been widely held up as evidence of the executive’s lavish lifestyle as a globe-trotting auto executive. Before his decision to reimburse the funds was made public, his lawyer in France, Jean-Yves Le Borgne, said in an emailed statement Ghosn paid for all his wedding expenses. Further focusing the spotlight on the tourist landmark outside Paris, Les Echos reported Friday that Ghosn also hosted a black-tie evening there in March, 2014. Some 200 guests were invited to celebrate the 15th anniversary of Renault and Nissan’s car alliance. The society event costing an estimated 600,000 euros was held on the day he turned 60 and not the day the companies’ partnership started back in 1999, the report said. The family spokeswoman Spurgeon said Ghosn’s relatives do not recall seeing a birthday cake or mention of that event at the Versailles party. Instead, Ghosn and his wife celebrated his birthday the following evening at a private dinner at the Michelin-rated Parisian restaurant Monsieur Bleu, located in the Palais de Tokyo, she said. Renault declined to comment and Ghosn’s lawyer and spokespeople for the alliance could not be reached for immediate comment. The minister also said an audit would begin in the coming days of the finances of RNBV, the Dutch company that manages Renault and Nissan’s alliance. Already, the companies are said to review fees paid to consultants by the company, which amounted to about $10 million to $20 million a year.